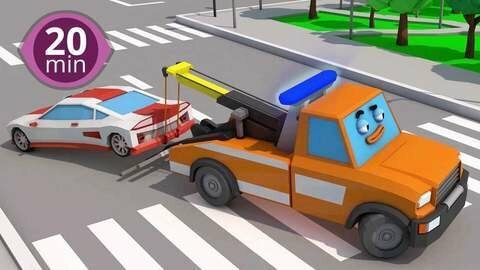 If your kids like cars, they'll love these fun non-stop 3D car cartoons! While helping out green and red car, the silly tow truck spots a beautiful lady car and gives chase. But has he forgotten all about his job? Watch full-length HD episodes of your favorite shows for free at SeeZisKids!